Mostly, I look back on the past few weeks with a full heart, grateful for the trust my couples put in me to officiate their wedding ceremonies. 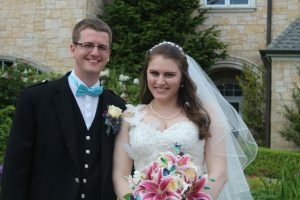 I loved everything about Grant and Jillian’s wedding at Newcastle Golf Club last Friday. This was a perfect venue for a guy from Scotland and a gal from Seattle. And their love of all things Disney was incorporated beautifully into their reception decor. Kaci and Tom traveled to Seattle to be married on a windy and crisp Friday May evening before they left on their cruise to Alaska. Joined by a happy and intimate group of people, I remember a group blessing of the rings that was perfect for the moment and the setting. 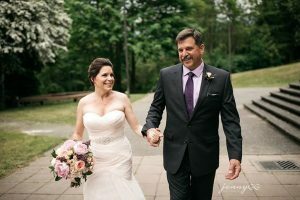 After more than 20 years together, Harold and Terri got hitched at the home of dear friends in Bothell. Traveling from Canada to do all of this goodness, I was very taken with these two – their grace, charm and attention to detail. 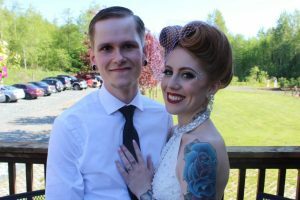 Gina and Seth and Rebecca and Benjamin, both selected the “I Do For 2 package” at The Willows Lodge and were married on different dates and with the same wish: easy, fun and simple! I made my way up to Arlington to officiate Joey and Kandie’s wedding ceremony at a lovely Snohomish venue. With more than 100+ family and friends on this Saturday afternoon, we celebrated this young couple and their inspiring journey to their wedding day. Seriously, such fun people! Love comes in so many shapes and sizes. It’s my happiness to be a part of all of this goodness. Simply, I’m one lucky gal.